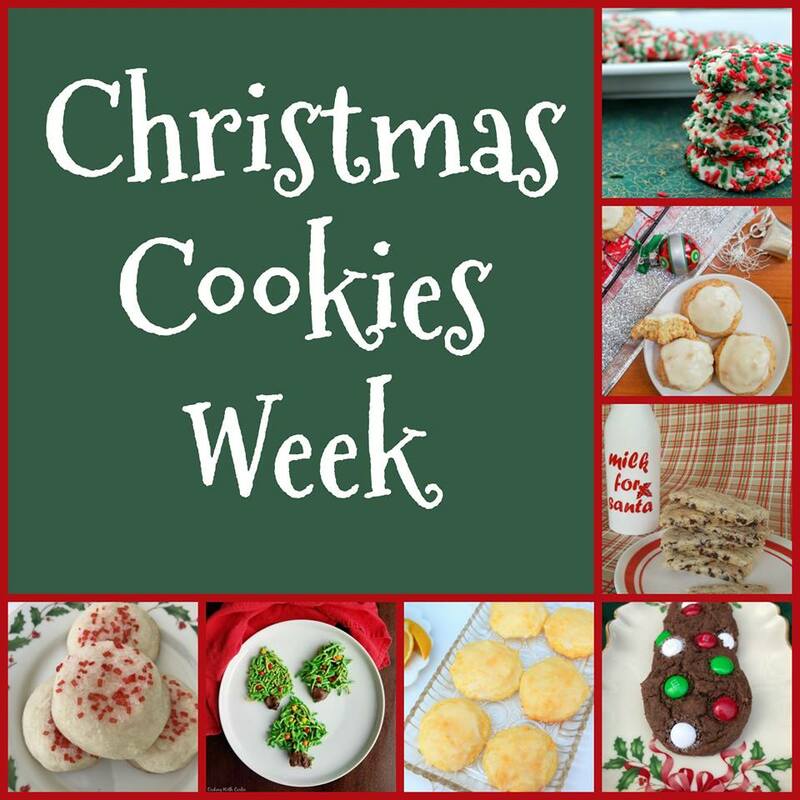 How fitting that we are kicking off Christmas Cookies Week on #NationalCookieDay! 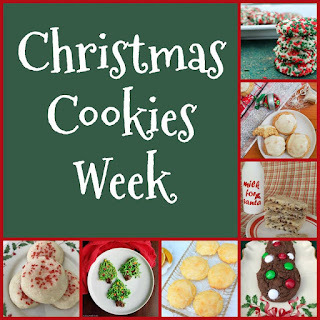 I am so excited about all the amazing recipes that are going to be shared this week. For my first recipe, I took my Caramel Apple Thumbprint base cookie and exchanged the vanilla for coffee extract. I used a cookie scoop for nice consistent cookies. You can definitely use your thumb to make the indentation, but I prefer to use a tart tamper. While they were cooling, I made a super simple ganache filling. My guys say they don't like coffee, but these cookies disappeared in the blink of an eye. The coffee extract brings out the flavor of the chocolate so well. 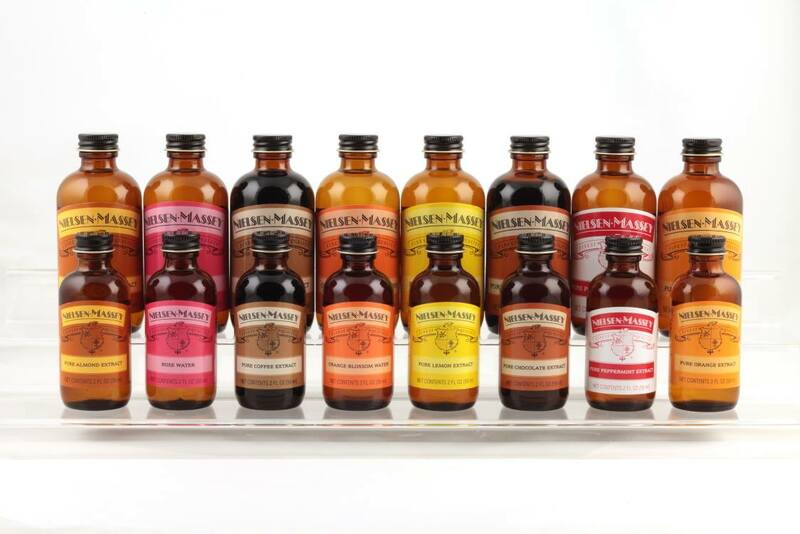 This would work with any flavor extracts you like, and Neilsen-Massey has tons to choose from. I'm thinking peppermint in the ganache would be awesome as well. Be sure to enter below for your chance to win a set of flavors from Neilsen-Massey! Thank you so much to Ellen from Family Around the Table for hosting this year's event. I know my printer will be working overtime with all the great recipes that are being shared! Preheat oven to 375º. Cream together brown sugar and butter. Add egg yolks and vanilla, mix well. Stir in flour and salt. Roll into 1 inch balls. Place on ungreased baking sheets 1" apart. Bake in 375º degree oven for 5 minutes. Remove from oven. Quickly indent each cookie center with thumb. Bake 8 minutes longer. Cool completely. For Filling: Place chocolate chips into a large glass bowl. Heat butter and heavy cream over low heat until butter is melted and cream is warm. Pour cream mixture over chocolate chips. Add extract and a dash of salt. Let stand for about 5 minutes. Stir by hand or use a mixer to combine ingredients until they are smooth. Fill indentations with ganache, garnish with sprinkles, if desired, and allow to set up. Makes approximately 2 dozen. These cookies are so festive and pretty! They look perfect! oh gosh I don't think I can name just 1 favorite cookie. I like so many of them! Snowballs, RumBalls , Shortbread are a few of my faves. You had me at coffee.....yum! My favorite holiday cookies are Gingersnaps!! Well I think they look wonderful and you only want a hint of coffee anyway. You had me with that chocolate center! I love chocolate Andes mint cookies during the holidays. I totally agree! Coffee really brings out the flavor of chocolate. These cookies look fantastic! Coffee and chocolate are so perfect when they are married! I have a coworker who loves coffee! (Like crazy!) 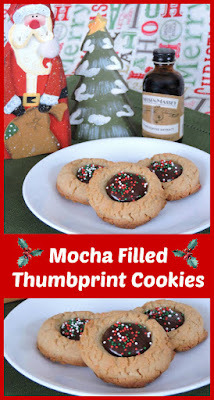 these would be a fun gift for her) thanks for sharing at Celebrate365 Cookie Exchange!